WhichList2 is a family based independent UK list broker, offering GDPR compliant and fully guaranteed business lists and consumer lists. We have a combined experience of over 50 years and work with all types of businesses from SME’s to International PLC’s as well as other data brokers and agencies. Old and outdated emails can affect more than just the inaccurate email, it can affect every email you send. 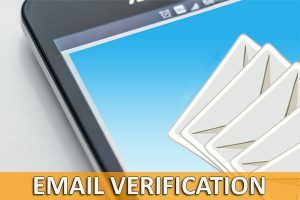 Our email verification service validates your emails and boasts over 98% accuracy. With the introduction of the GDPR, increasing the accuracy of your data, will bring you inline with the new law. Do you struggle to find new customers? Are you losing money by marketing to old data? Do you need help to identify your true market? 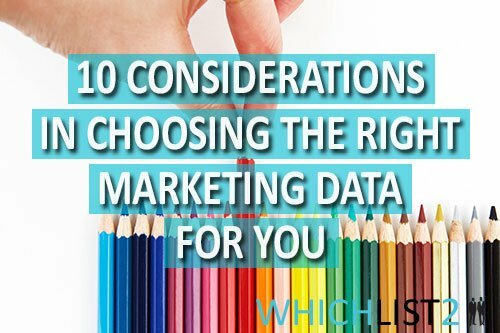 Running a successful direct marketing campaign can be difficult and starting with the right data is paramount to it’s success. At WhichList2 our aim is to make you as successful as possible. By offering insight, and knowledge on the selection and purchase of your direct marketing lists, we can provide you the best start to your direct marketing campaign. With hundreds of business and consumer lists in just the UK, we will guide you in choosing the right database for your needs. 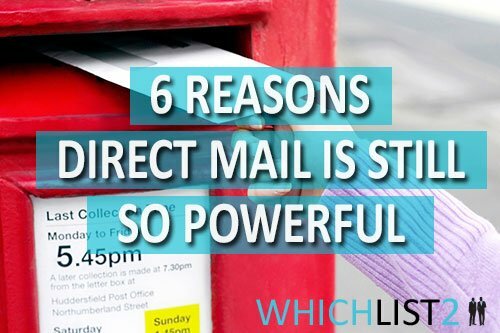 Whether it is targeting the list to other business that have a need for your product of service across the UK or creating a comprehensive list of parents within a defined catchment area. When sending out any email exercise, a professional broadcasting system, with full tracking reports, is required to ensure high delivery to your prospect’s box. All of our data sources are fully compliant with all laws and codes of best practice. We only work data that is proven to get results and designed with direct marketing in mind. We like to work on a personal basis. From you first contact you will work with one of our marketing experts to help you get the most out of your marketing campaign. We know communication is the key to business and have great pride in the fact we are always available to talk whenever you need us. Select from hundreds of lists with thousands of selections giving you the ability to pinpoint your ideal prospects.